Did you know that there are over 500 foster children in Merced County? 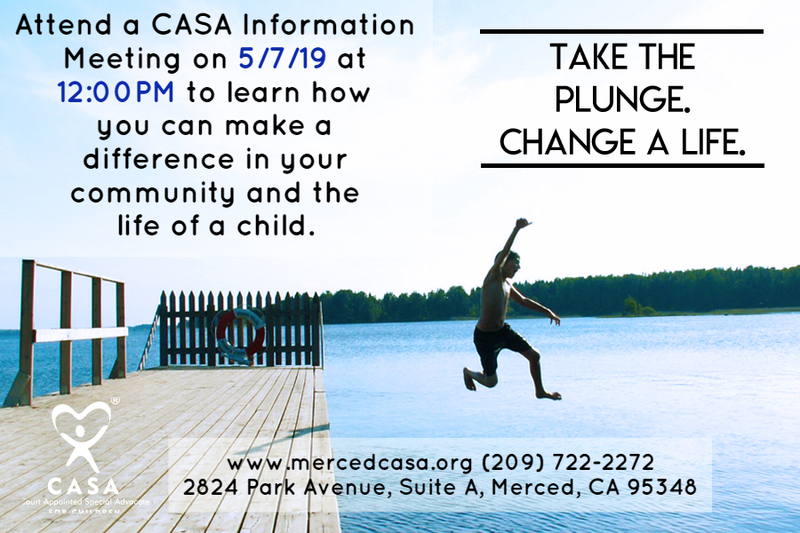 CASA of Merced County recruits, trains and supervises volunteer advocates who speak up for these children in court. The first step in becoming a CASA Volunteer is to attend an information meeting to learn more about this life changing opportunity. Information meetings are free and open to the public.